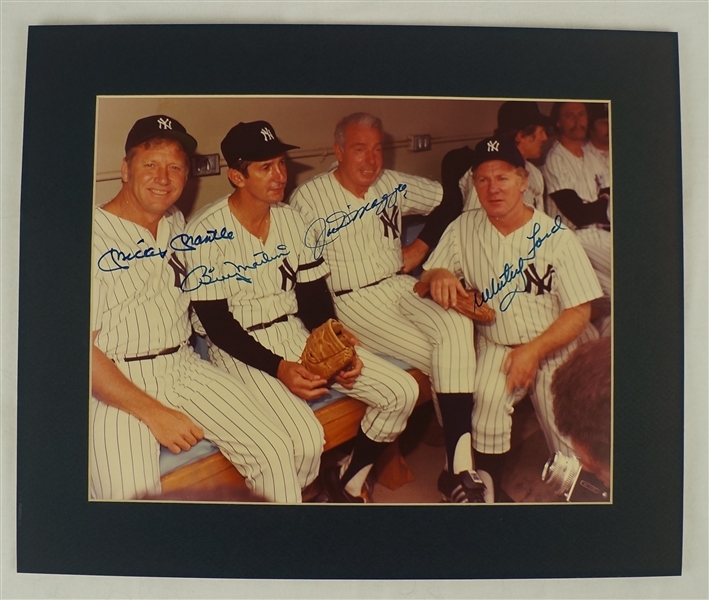 Attractive 11x14 color photograph signed by New York Yankees legends Mickey Mantle, Joe DiMaggio, Billy Martin and Whitey Ford. Each has signed in blue marker and the signatures remain in beautiful condition. The popular photo was taken at an old timers game and features all four wearing the Yankee pinstripes. 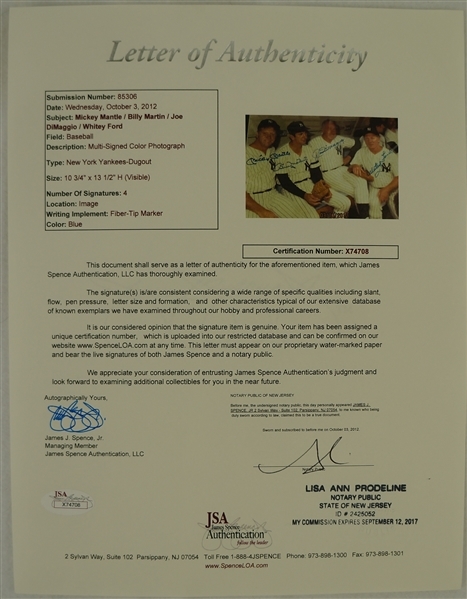 Accompanied by a JSA/James Spence Authentication.